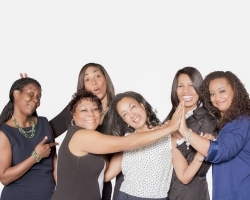 20/20 Investment Club has an all-female, African American membership and celebrates its 20th anniversary by launching “Campaign INSPIRE!”, a national women’s empowerment initiative designed to celebrate the power of unity at a critical time in our nation’s history. Celebrating its 20th anniversary, 20/20 Investment Club has launched “Campaign INSPIRE!”, a national women’s empowerment initiative designed to celebrate the power of unity at a critical time in our nation’s history. Led by the club’s founder, Sonya Weaver-Johnson, former day trader and IT professional, the effort is designed to educate and engage women on the importance of not only investing, but also coming together for a great purpose with grand outcomes. Campaign INSPIRE! is an outgrowth of the club’s motto, “Learning and Earning” together. Along with Weaver-Johnson, the club’s members represent many industries including: legal, education, healthcare, entertainment, insurance, politics and information technology. · The club’s portfolio recognized a 13.64% Compounded Annual Return (CAR), for the 10-year period ending 12/31/17. · During the most recent 1-year, 5-year and 10-year periods, ending 12/31/17, the club outperformed both, the Vanguard 500 Index Fund (comparable to the Standard & Poor’s 500 Index) and the Vanguard Total Stock Market Index Fund (similar to the Wilshire 5000 Index). · Resulting from the club’s ongoing education program, all members have become highly proficient investors. · In celebration of its 10-year anniversary, club was featured in Black Enterprise magazine, in 2006. · Club shared its formula for success as guest panelists on "Opportunity2Network” (syndicated on public access TV), in 2007. · Club announced its commitment to investing during the economic downturn when featured on Voice of America (VOA) - U.S. federal government broadcasting network, in 2008. To set up interviews with the club’s founder, contact Neil Foote, Foote Communications LLC, neil@neilfoote.com. To learn more about the club, contact Sonya Weaver-Johnson, sonya.weaverjohnson@gmail.com. Neil Foote, Foote Communications LLC, neil@neilfoote.com.